We recently came across a magnificent image taken in the Guy Fawkes National Park up in northern NSW. 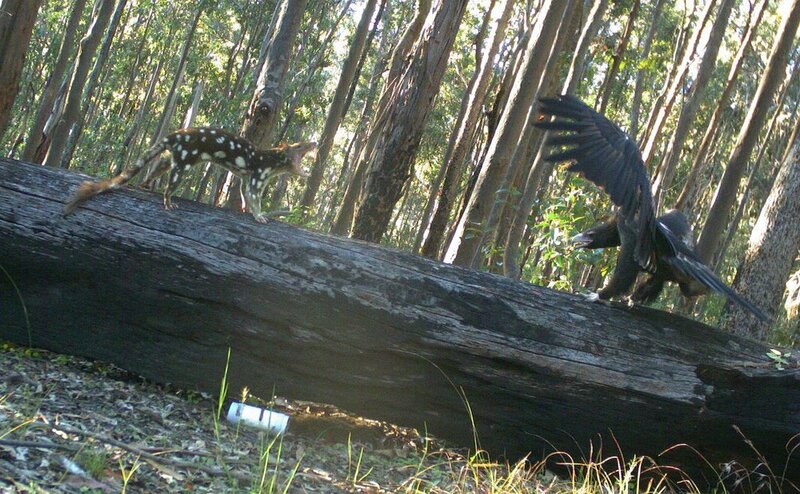 Although this is outside our area, we do have both Spotted-tailed Quolls and Wedge-tailed Eagles living around here, so we thought you would like to see this as it is a remarkable image. This was taken with a motion sensitive camera and you can see the lure station in the photo. We are all speculating as to what happened before and after this image was taken - who would win this stand off?